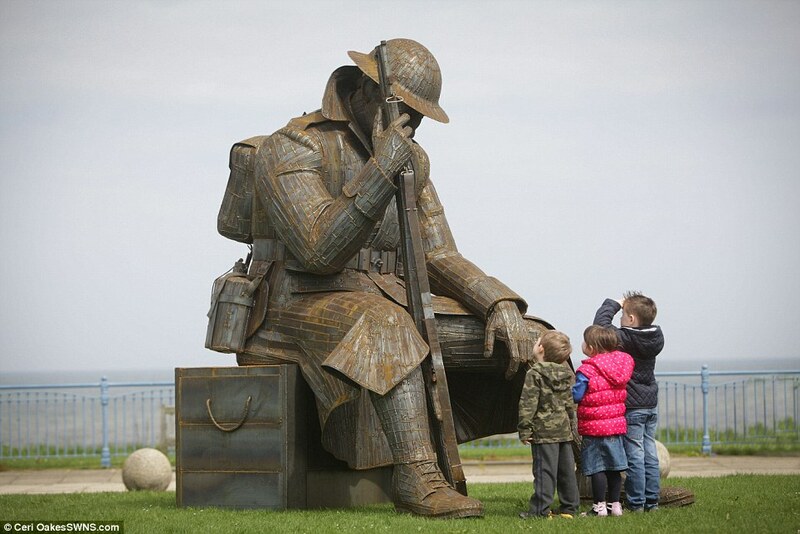 While the above image is poignant and reflective, I also like this image of the innocent spontaneous fascination of the youngsters in this picture with "Tommy". The official name of the statue is/was 1101 to represent the first minute after the armistice went into effect at 11am on November 11, 1918. Posted that up last year on POTD. Fascinating image. Re: Picture(s) of the day..
Arguably the second best Border point between England and Scotland.....Union Chain Bridge over the River Tweed nr Horncliffe Northumberland. and only 100 yards from the Chain Bridge Honey Farm, which coincidentally has random stuff like this scattered around its outbuildings! Pictures are not mine... No way could I photograph them at four in the morning! Just seen all of these sand pictures on the News. From The "Metro" today and currently active in Gloucestershire. Found an interesting device for supporting an old oak tree in a remote Northants village yesterday whilst out on a bike ride..
Well done Jim/Bobins, 2 photos in one day is what I would describe as a flurry. I am, for my contribution today, going to revive one of my previous efforts inspired by the "moon between the two turrets" composition carefully engineered by Bobins. I give you large chimney from Ryhope Pumping Station with an engineered Sun perched on the top, otherwise known as the "Angel of Ryhope"
Two cracking photos there gentlemen and well worthy of this thread Enjoyed! My bib number was 1066... The Battle of Hastings... But today the Battle of MK! Tips hat, good on you.